How to organize your life for stress management. Organization and control is a way to deal with stress at work and home. Learn how to organize your life to reduce stress and gain control. Having control is the solution to stress management. Creating a plan and systems to organize your entire life will reduce stress, reduce the overwhelm and keep you feeling in control. This control plan is a living document which you can continuously adjust and tweak to adjust what isn’t working and to evolve with you as your life changes. Learning how to organize your entire life is a continuous work in progress. Give yourself time and patience to create the best systems that work for you. Setting aside one weekend or several days over a week to develop the foundation of your plan will create a structure for you to achieve your goal and feel in control again. This plan can be followed for both work and home. Define Your Life Purpose – This simply means be clear on what you want. This will allow you to plan your time on what is important to you. For now, define what you want to achieve over the next few weeks or months, so you can keep yourself on track and organized. You’ll focus on setting priorities, current obligations, and personal fulfillment. Develop Weekly Planner Template – This is your guide on how you will spend your time during the week to help you plan and maximize your time. Develop Master To Do List – Write down everything you want to accomplish and prioritize. This is your master list to organize your life. Implement Your Life Organization Plan – Start following and tweaking your plan! It’s important to know this is a continuous work in progress. Focus on having the foundation of these tools in your life. The content you place on these tools is ever changing as your life changes and grows. You may start with what feels like a draft of this plan. Implementing the plan is the most important part. With more soul searching, learning what works for you and life changes the plan will become further defined. 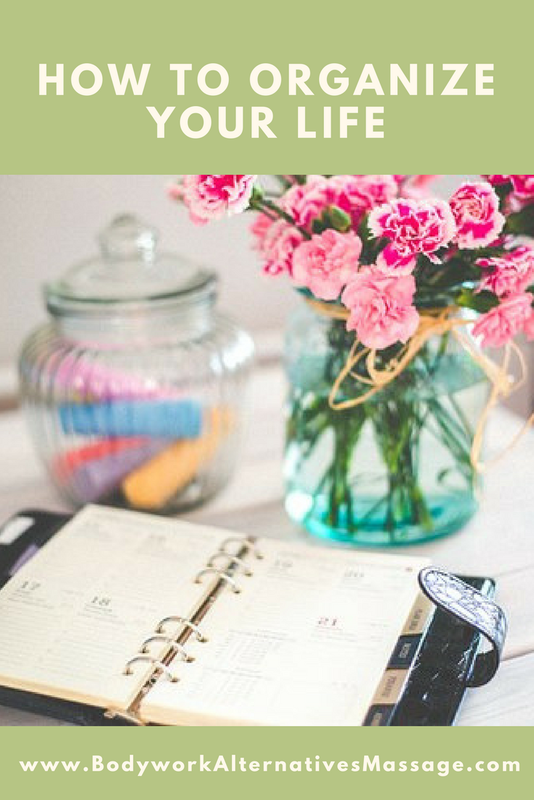 Are you ready to get started to organize your entire life? Let’s start with Define Your Life Purpose..